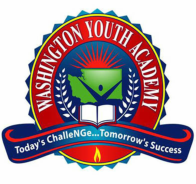 The Washington Youth Academy Foundation offers financial assistance for all graduates of the Washington Youth Academy who want to continue their post-high school education, vocational school, trade school, apprenticeship programs, job training and more. Get the forms by clicking the buttons below and apply today. E-mail your forms and supporting documents to wyaf-financial-assist@outlook.com. If you bring your application to the Academy, give it to your Case Manager. Do you need credits for high school graduation? Did you complete the Washington Youth Academy? Need to attend summer school to graduate on time? Then the Washington Youth Academy Foundation wants to help you. There are two electronic fillable form options. A PDF Fillable Form and a Word Fillable Form. Save the PDF Form or Word Form to your computer then open in Adobe Reader or Word, you should be able to fill in all information. If you prefer to print and complete use the "Printable Form" option. You may qualify for this scholarship whether in the program now or are out of the program. If you have lived the Cadet Mission and Creed and demonstrated leadership, read the policy to see if you qualify. ​There are two electronic fillable form options. A PDF Fillable Form and a Word Fillable Form. Save the PDF Form or Word Form to your computer then open in Adobe Reader or Word, you should be able to fill in all information. If you prefer to print and complete use the "Printable Form" option. Am I eligible for WYAF Financial Assistance? Did you complete the Washington Youth Academy? In good standing in your post-residential phase? What schools or training can I attend? What can the funding cover? Don’t hesitate, this DOES apply to you. APPLY TODAY!